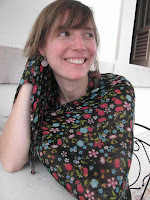 Stephanie Wilks currently lives in São Paulo, Brazil and works as a consultant for Satsanga Consulting. This fall she will be starting a Master's program in Conflict Transformation at the SIT Graduate Institute in Vermont. For the last four months, I’ve been living in Rio de Janeiro with my boyfriend, Carlos. Driving back to Rio from a recent trip, as my boyfriend and I rounded a curve on a busy 4-lane highway, we spotted a man lying in the oncoming lane of traffic. Cars were narrowly avoiding him as they came around the bend, but no one stopped. Shocked at the sight, we debated what to do, and Carlos decided we had to go back to help. We turned around and pulled up next to the man. He was drunk and disoriented, and kept changing his explanation of what had happened – he'd been robbed, or hit by a car, or broken his leg, none of which turned out to be true. Seeing our stopped car, two other motorists pulled over and helped Carlos guide the man to a less dangerous area on the side of the road. After several phone calls, an ambulance arrived, without us ever fully understanding how he had gotten himself into the situation. I have been reflecting on the incident a lot, and am torn by conflicting emotions. As a woman, my first reaction when encountering a drunken man in the middle of nowhere in a foreign country was to get as far away as possible. Carlos, however, saw someone in need, and spent an hour helping a stranger who, among other things, threatened us by saying he was an armed criminal. I felt useless because my Portuguese is poor and I couldn't even assist in making phone calls, and I didn't feel comfortable physically helping the man to safety. This was the first time when I felt such a glaring difference between being a woman versus being a man. I’ve read a lot of books on traveling, and always resent sections with titles like 'Warnings for Women Travelers,' though I know there are some things we just shouldn’t do – even when it involves an honest act of kindness. On the other hand, I wonder if my fear overtook me, and if I should have ignored it to help someone out.